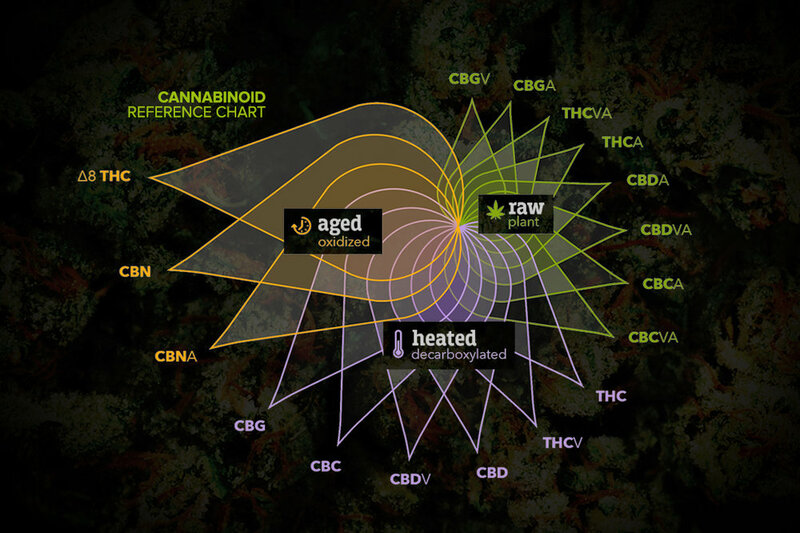 Cannabinoids & The Human Body. 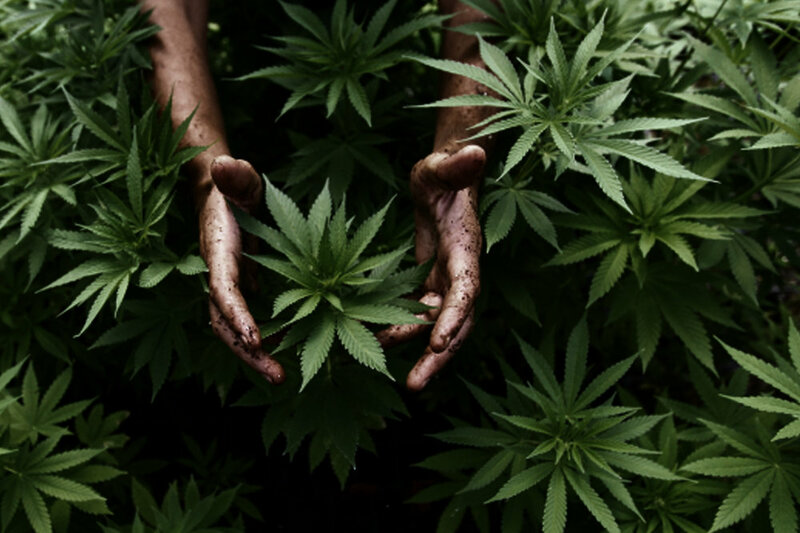 Cannabis and its compounds have been studied for more than 50 diseases and conditions. While THC and CBD are the most common cannabinoids, the plant contains dozens of active compounds with limitless potential benefits. Cannabinoids: Cannabinoids are the chemical compounds produced by cannabis and other plants that provide an array of effects and benefits. Cannabinoids imitate compounds our bodies naturally produce, called endocannabinoids, which maintain internal stability and health as part of the Endocannabinoid System. Terpenes: Terpenes provide flavor, aroma and a subtle influence on the overall effects of cannabis. While many crude extraction processes destroy terpenes, Evolab has pioneered a proprietary process for preserving the full spectrum of terpenes in any strain. Why does cannabis affect every aspect of our bodies and minds? Because of the Endogenous Cannabinoid System, also referred to simply as the Endocannabinoid System or ECS. Cannabis is full of cannabinoids, which are similar to the endocannabinoids which occur naturally in all mammals and many other lifeforms. Endocannabinoids and their receptors are found throughout the human body — in the brain, organs, tissues, glands and immune cells — collectively forming The Endocannabinoid System. In each area, the Endocannabinoid System performs different functions, but its goal is always the same — homeostasis, the maintenance of a stable internal environment despite fluctuations in the external environment. Cannabinoids from cannabis activate these receptors and restore balance in the same ways as your body’s own endocannabinoids, which has helped researchers understand how cannabis can alleviate so many different types of conditions. Ultra pure cannabis concentrates are very viscous, thick substances. In vape cartridges, these concentrates won't properly vaporize unless changed to a more liquid form. Other companies use a variety of questionable cutting agents including PEGs (polyethylene glycols), glycerin, MCT (medium-chain triglycerides) and other chemicals. 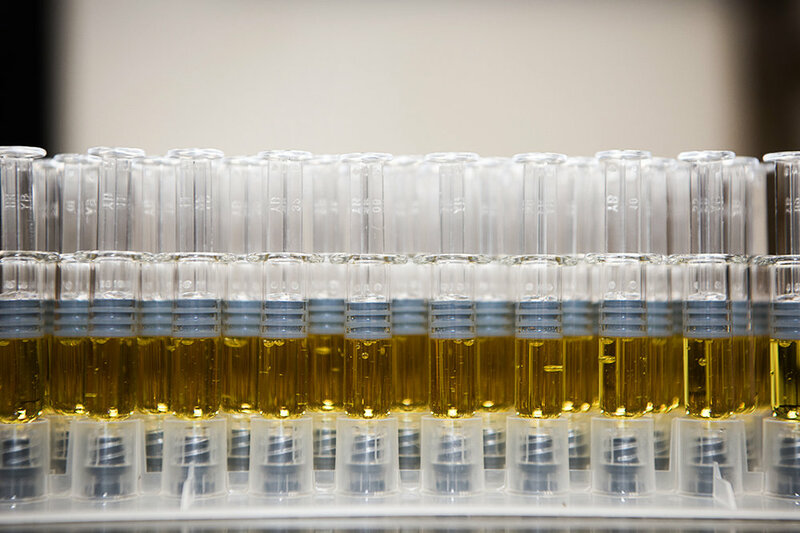 At Evolab, we prefer to use nothing but cannabis in our products, so we developed a unique process to extract and purify a combination of cannabis terpenes, terpenoids and flavonoids that we call our CDCA, or Cannabis Derived Cutting Agent. This formula is blended with our concentrated cannabinoids to provide a consistent, effective vape experience - with no additives and nothing but cannabis. Read more about the advanced science involved in creating the industry’s cleanest oils in a blog post from Dr. Palmer here. Researchers have identified hundreds of compounds in cannabis. While we understand the primary effects of the most common cannabinoids and terpenes, we have not yet been able to explain precisely how these numerous components work together to produce different reactions. One common theory, the Entourage Effect, explains that some compounds that have minimal or no effect in isolation generate significant effects when combined with additional cannabinoids and terpenes. Put simply, the idea suggests that the beneficial impact of the whole plant is greater than the sum of its individual parts. This may explain why whole plant cannabis is reported be so effective in treating certain medical conditions, while synthetically derived formulations of isolated THC or CBD with no terpenes achieve less positive results. Evolab’s advanced technologies allow us to include the full, naturally occurring terpene profile of the plants we use in every product so that our customers never miss out on the benefits of The Entourage Effect. We’re cannabis nerds. Pure and simple. We love the plant. We love the flavors, the effects, and most importantly, we understand its incredible potential to support a vibrant, healthy life. Years ago, when we began exploring the crude techniques for transforming cannabis into advanced, user-friendly products, we quickly realized that there wasn’t a process that met our standards for what we desired in a premium experience. So we built it from scratch. After pulling together an unrivaled team of chemists, physicians and product developers, we created the cannabis industry’s first suite of clean CO2 extraction technology that preserved the full spectrum of flavors, aromas and experiences from our favorite plants. Once we refined this technology, we set out to utilize this new approach to develop the best products. Today, we continue to innovate at the intersection of nature and technology, carefully crafting products that nurture, relax, elevate and excite. What’s New? The latest in medical cannabis. Clinical trials, new products, technology breakthroughs and more. Stay up to date on the latest advances in cannabis science. Evolab, a CBx Sciences brand, was named the winner of a Silver Stevie® Award in the third annual Stevie Awards for Great Employers. What is sublingual delivery? From the latin ‘under the tongue,’ sublingual administration refers to the delivery of an active substance into the bloodstream through diffusion in the oral mucosa.